Medieval Spanish Chef: CEDAZO WITH 15TH CENTURY RECIPE FOR CHICKEN "JANETE"
CEDAZO WITH 15TH CENTURY RECIPE FOR CHICKEN "JANETE"
Cook a whole chicken hen with chicken livers in broth. 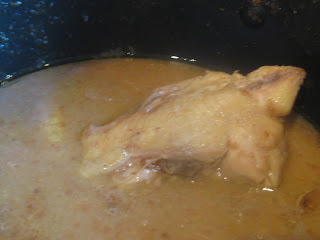 When the chicken is half done, about 10 minutes after coming to a boil, remove the chicken from the pot and cut into serving pieces. Melt the lard in a frying pan over low heat. Fry the bacon and set aside. Add the onions and sauté until translucent. Sauté the chicken. Cook the quinces or pears, which have been cored and quartered, in a separate saucepan with 1 c water. Cover and bring to a boil. Simmer for about 20 minutes. 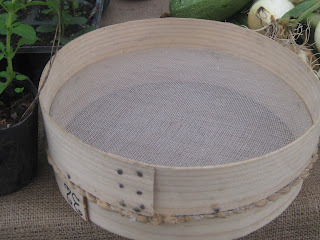 Once soft, remove the pieces from the pan and discard skin. There should be almost not liquid is left in the pan, add honey and fruit. Cook 4 or 5 minutes more and remove from heat. Scald almonds and peel them. Fry them in olive oil. When golden brown, chop them in a mortar adding the fruit in the honey. Add the chicken livers and then the slices of bread, which have been soaked in vinegar. Moisten this paste with 1 qt of the chicken broth. Strain through a hair sieve into a clean pan. Add the rest of the broth, the chicken and onions and heat. Crumble the bacon and add it to the mixture. Boil gently for about 1 hour to reduce the amount of liquid. Mash saffron in a mortar and dissolve it in broth. Add this to the pot. Add half the spices and mix all well. Serve in soup bowls and sprinkle the spices and sugar on on top. The recipe calls for quinces or small pears. It is estimated that 12 small pears should be used if in season. When the recipe was prepared neither fruit was in season. Three green apples and about 10 ½ oz or 1 ¼ c quince jelly were used as a substitute. 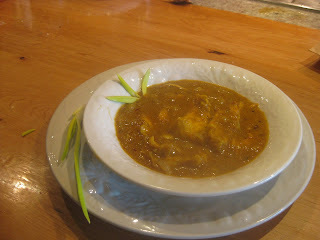 See blog titled cagarria published June 20, 2012 for a mixed spice formula. As this is a sopes recipe, the chicken was deboned and the skin removed. 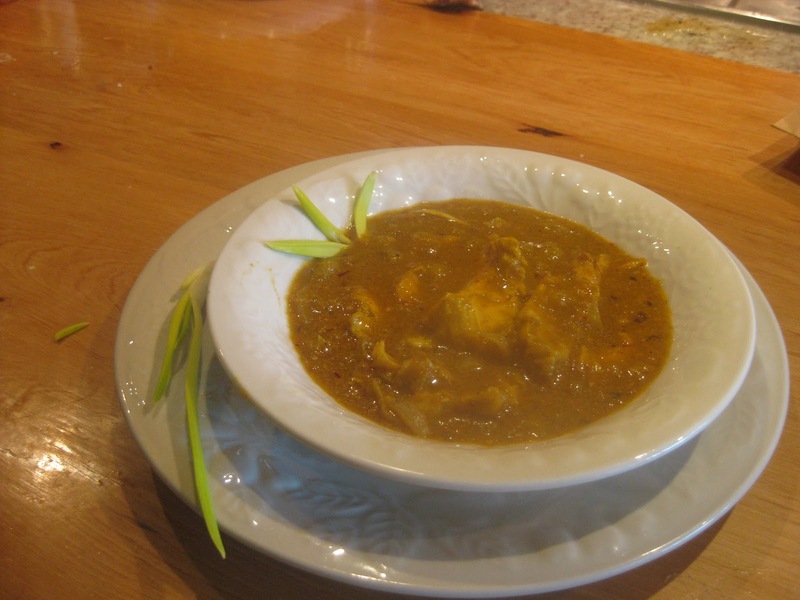 I think you have found the originl and more elaborated recipe of the famous "gallina en pepitoria". The "pepitoria" (a traditional recipe to render tender hen and turkey) has the same kind of yellowish sauce, and uses almonds and saffron as ingredients, only quinces or pears have been lost along the way. Making a good "pepitoria" is not an easy thing, and I'm afraid the art is lost with our grandmothers in the 70's, for mothers didn't use to make it so well, and nowadays you can hardly find (if you find at all) any restaurant serving "pepitoria". Wellcome this janete, then, and let give it a try!! CEPA WITH 14TH C SLOPPY JOES!